Earlier this week, five of Meghan’s close friends (who naturally, remain anonymous) spoke with People following months of endless trolling and negative coverage of the Duchess of Sussex. As I shared in last week’s Royal Rundown, the palace has had to take matters into their own hands to monitor and remove racist, sexist and other horrific commentary from their own Instagram pages. In addition to users commenting negatively, the press has been particularly tough on Markle the last few months. It’s like a flip switched! For months leading up to the wedding and following the nuptials (pretty much right up until the Palace announced her pregnancy), most articles featured her in a positive light… then came the “Difficult Duchess” articles, shining light on her ambitious nature. It’s gotten worse and worse from there, as you can imagine and have likely read yourself. Now, after nearly two years of staying completely silent about their friend Meg, these five friends are breaking their silence (anonymously – however one of them is apparently a former co-star) and coming to her defense. In the article, they speak to how she actually DID reach out to her father awhile back to attempt a reconciliation. Meghan reportedly wrote her father a letter after her wedding to Prince Harry, begging him to ‘stop victimizing me through the media so we can repair our relationship’. According to the friend who revealed this tidbit, Thomas Markle wrote her a long letter in response and closed it out requesting a photo opp with her! Needless to say, I don’t blame her for cutting off communication with him since – if your own father can’t respect your simplest wishes, how can you trust him? The article goes on to talk about how her half siblings Samantha and Thomas Jr. were never a big part of her life, as they were already in their mid-to late teens when Meghan was born. Sure, they share a father, but her parents divorced when she was only two years old. According to Meghan’s friends, Samantha (who for years went by Grant and when Meghan started dating Harry changed her last name to Markle) has done everything in her power to make it appear the two were very close, and has created a whole career for herself capitalizing on Meghan’s fame and relationship with the royal family. She’s even written two books about Meghan that she plans to launch when Baby Sussex arrives… she’s despicable!!!! Meghan does not deserve the incredibly hateful trolling she’s been subject to the last few months, and it must be incredibly hard for her to sit back and watch and not be able to do anything about it or stand up for herself. While I’m certainly all for her friends standing up for her, considering how they’ve been silent for so long you have to assume they were given the go ahead by Meghan or the Palace to do this article? It just seems like strange timing to me. What are your thoughts?! Vanity Fair did a bit of a deep dive on the timing of all of this on Wednesday if you want to check that out too. I was a little surprised when I saw the headline for this one, because I have never once read about Meghan sharing her views on religion or faith. With that said, as I blogger myself I completely understand the desire to keep certain things private – for me that’s my love life, religion and politics. Those are just not topics I want to discuss on my public platform, as I don’t want to alienate anyone – I want everyone to feel welcome following me, no matter where you come from, what you believe in and what you stand for. So the fact that Meghan hasn’t ever spoken at length to the media about her religious views isn’t actually crazy at all! According to the same friends who spoke in the People article referenced above, ‘Meg is extremely faithful’ and has ‘a very close relationship with God’. Prior to marrying Harry, Markle was baptized into the Church of England in a secret ceremony, and has since become quite close to Archbishop Justin Welby. 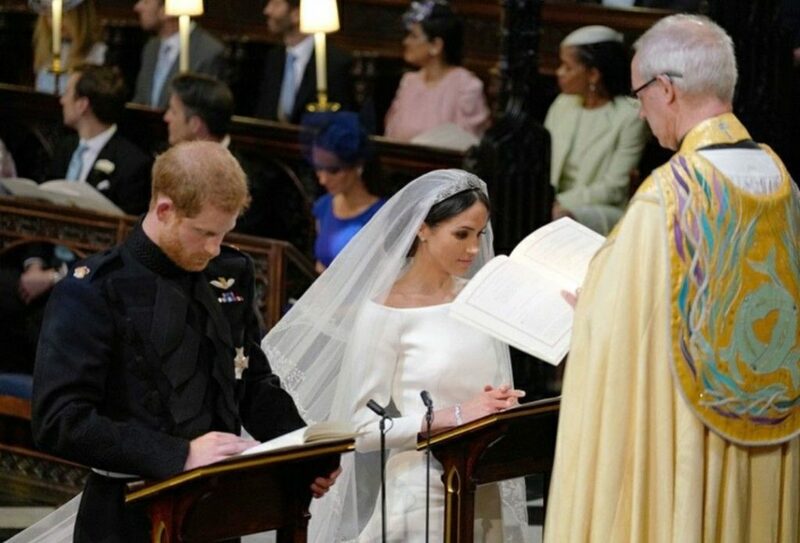 Welby not only performed the baptism, but he also officiated at the Royal Wedding last May! Because of her isolating new life, I imagine faith plays a very important role in keeping her sane and in good spirits amid the negative media attention. Let’s talk about Baby Sussex, shall we?! We only have a couple of months to go now until we get to meet Prince Harry and Meghan’s little bundle of joy. 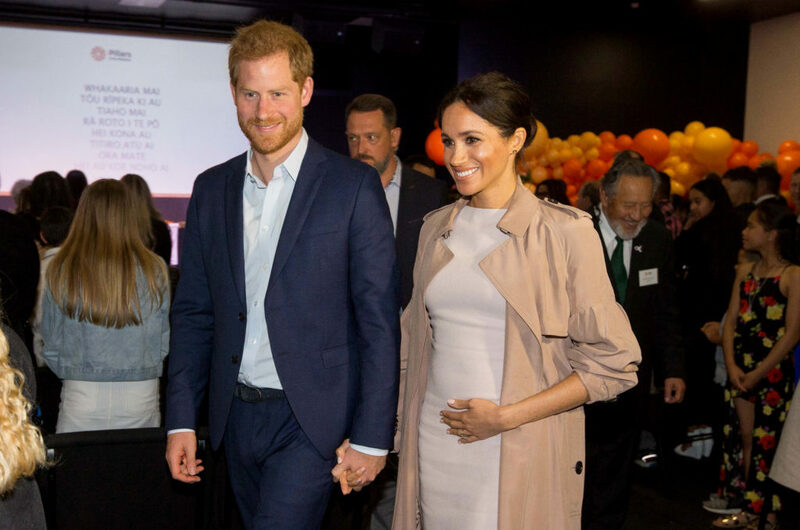 As I shared here, Meghan let slip her due date is in late April while speaking with well-wishers during a walkabout last month. Leading up to the big day, Meghan is reportedly doing everything she can to prepare for a natural birth! She’s using holistic methods like acupuncture, practicing natural birthing techniques, and apparently enlisting the services of a doula (which has not yet been confirmed). As we all know, birth/labor can be unpredictable, so even with all of those preparations a natural birth may not be what happens once the big moment arrives. But I truly hope for an easy delivery for both mum and child, regardless of the type of birth!